Our twin or super king is located off of our library. 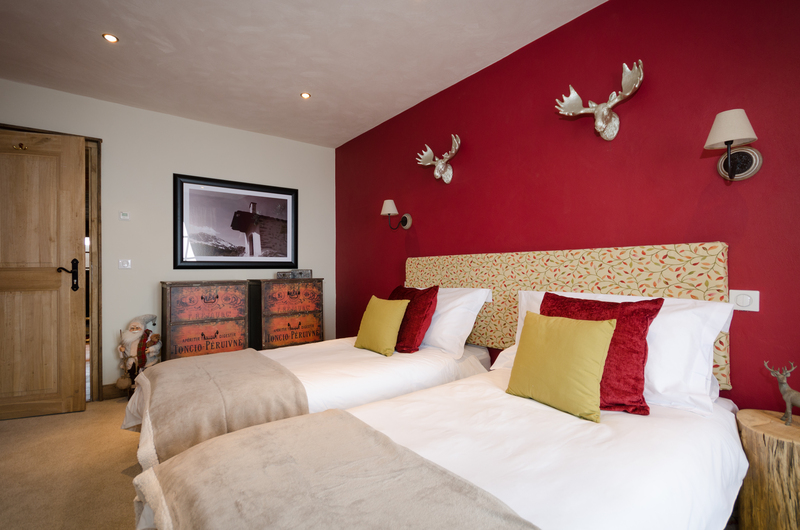 The room includes an en suite shower room, private balcony and valley view. 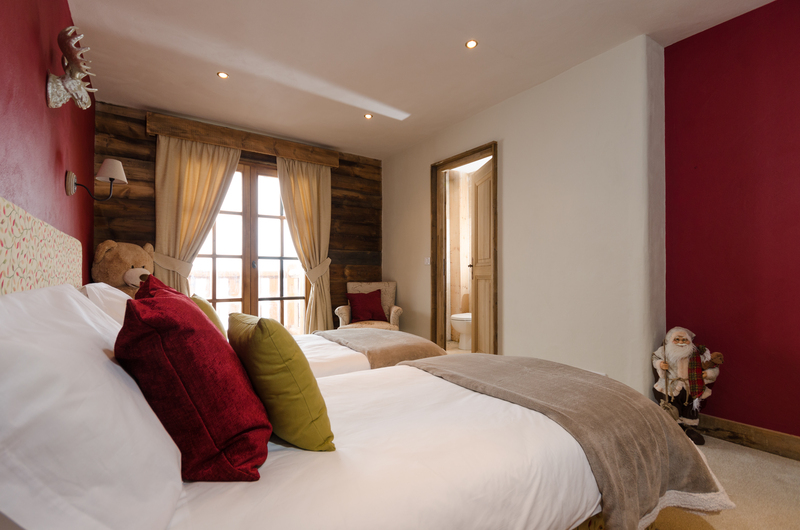 The room design includes French windows, under floor heating, and an interior with a mixture of oak, granite and luxury carpeting to accentuate the chalet’s beautiful design. This room can be configured as a twin room or as a super king and is adjacent to two king rooms off of a private hallway and is suitable to be booked as part of a two or three room family booking.